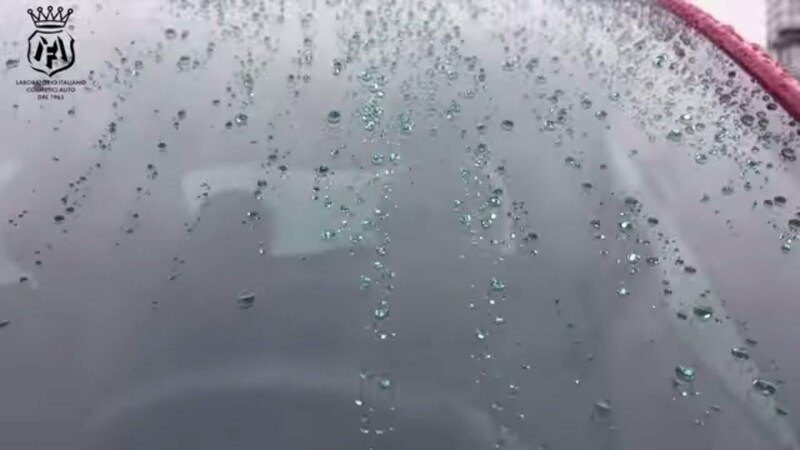 #AQUAVELOX creates a sealing water repellent coating on the windscreen and all glass surfaces, quickly rejecting water and contaminants and actively contributing to road safety. Thanks to #AQUAVELOX the glass surface will remain smooth and protected from water and dirt for a long time, with unusual speed and ease of application for this type of products. With just one application of #AQUAVELOX, the windscreen will remain clean much longer and insects and contaminants will be removed quickly and easily. The product resists to repeated car washes, to insect cleaning liquids and windscreen liquids with high alcohol content. #AQUAVELOX has been thoroughly researched, developed and tested in Mafra laboratories in cooperation with the most prestigious sports car makers worldwide for the launch of new models.